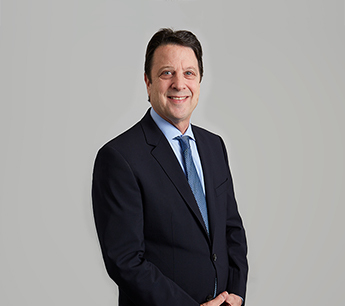 Jerry Rockoff is a veteran of retail real estate, specializing in tenant and landlord representation in the New Jersey suburbs. He provides his clients broad experience and invaluable insight into the marketplace. Jerry exclusively represents several landlords, including Bijou Properties, Harwood Properties and New Brunswick Development Corporation in their various, different development and redevelopment projects. In addition, Jerry is part of the team representing Tucker Development Corporation in the leasing of 185,000 SF at Hudson Lights at Fort Lee, 12,500 SF at 170 East Broad Street in Westfield, NJ and the proposed development of One Journal Square in Jersey City, NJ. Jerry successfully represented Roseland Property Company in the leasing of the retail component of its mixed-use development Riverwalk at Port Imperial to local and regional tenants. At Wayne Towne Center in Wayne, NJ, a conversion of a shopping center to a 700,000-SF lifestyle center, he secured leases with Olive Garden, DSW Shoe Warehouse and Bahama Breeze. He has also worked exclusively with tenants such as Ulta Cosmetics, LensCafters, Nextel, Sprint PCS, Circuit City, Equinox, Oshkosh B’Gosh, Carters and Bank of America. He has completed transactions with well-known tenants including Modell’s Sporting Goods, New York Sports Clubs, Capital One Bank and Citibank, as well as various other retail tenants. Prior to joining RKF, Jerry was a broker at the retail leasing firm Garrick-Aug Associates. Earlier in his career, he was principal in Hubbard’s Cupboard, a 42-store chain of convenience food stores, where he was responsible for all site acquisitions and real estate investments and transactions. Jerry is member of the International Council of Shopping Centers. He is also a member of several civic and charitable organizations, including Temple Sinai of Tenafly, where he serves on the board of trustees, and the Anti-Defamation League.